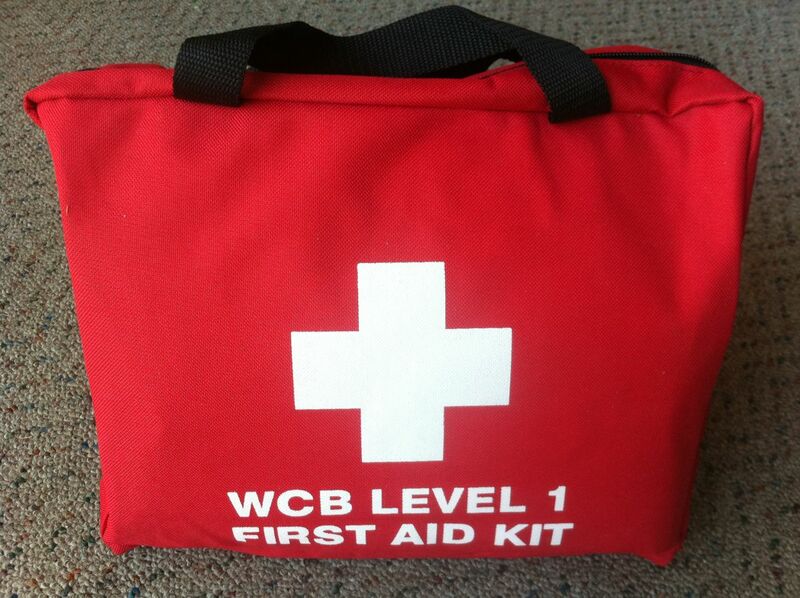 Meets WCB specifications for personal kits. Contents: 1 red waterproof belt pouch, 1 WCB card, 10 1x3 fabric bandages, 2 knuckle bandages, 3 3"x3" gauze pads, 1 eye pad, 1 2"x4" strip of Hypafix, 1 roll 1v adhesive tape, 3 antiseptic wipes, 1 pressure dressing, 2 sting stop wipes, 6 hand cleaner wipes, 1 stainless steel tweezers, 1 steel needle. Exceeds WCB specifications for personal kits. Contents: 1 red waterproof belt pack, 1 pair deci-damps, 1 WCB card, 20 1"x3" fabric bandages, 6 knuckle bandages, 6 fingertip bandages, 6 3"x3" gauze pads, 1 eye pad, 1 abdominal pad, 1 triangle bandage, 1 roll 1" adhesive tape, 12 antiseptic wipes, 1 pressure dressing, 6 sting stop wipes, 6 hand cleaner wipes, 4 safety pins, 1 stainless steel tweezers, 1 scissors. These first aid kits meet B.C standards and come in soft packs made of waterproof nylon cordura, with zipper openings, adjustable inner compartments and instrument holders. 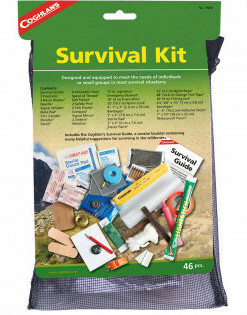 Coghlan's Survival Kit is designed and equipped to meet the needs of individuals or small groups in most survival situations. Includes the Survival Guide, a concise booklet containing many helpful suggestions for surviving in the wilderness. Contains Emergency blanket, Waterproof matches, Signal whistle, 2 firesticks, 12-hour lightstick, Pencil, Note pad, Salt packet, 4 antiseptic pads, Four 1" by 3" bandages, Four 3/8" by 1.5" bandages, 2" by 3" elastic patch bandage, 3" by 3" sterile pad, Two 4" adhesive strips, Compass, Poncho, Signal mirror, 50-ft orange trail tape, 10-ft snare wire, 2 razor blades, Needle, Spool of thread, 2 safety pins, 12-ft nylon rope, 30-ft fishing line, 2 fish hooks, 2 sinkers, 7" by 10" waterproof pouch, 35-ft nylon cord, Reusable 8" by 12" PVC pouch and 5-hour candle. 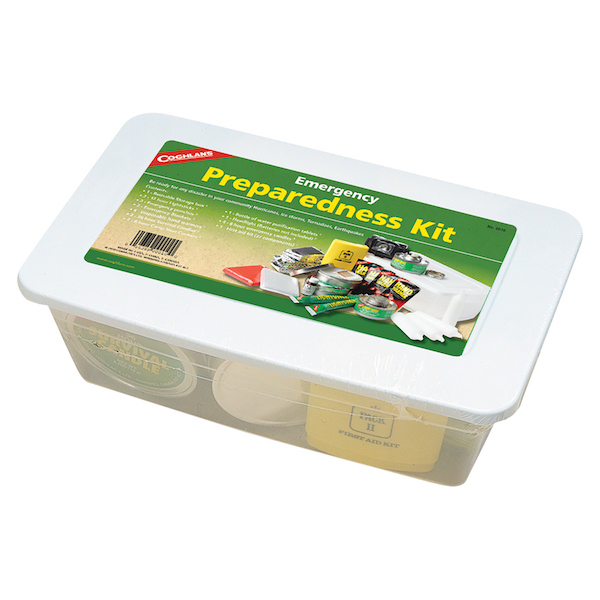 Kit includes survival items that can help in any community disaster whether hurricane, ice storm, tornado, or earthquake. Contents: 4 - 8 Hour Emergency Candles, 2 - 12 Hour Lighsticks, 1 - First Aid Kit, 4 - Disposable Hand warmers, 1 - Bottle Water Purification Tablets, 2 - Emergency Ponchos, 2 - 36 Hour Survival Candles, 2 - Emergency Blankets, 2 - 6 Hour Camp Heat Cookers, and 1 - Headlamp. Packaged in reusable storage box. 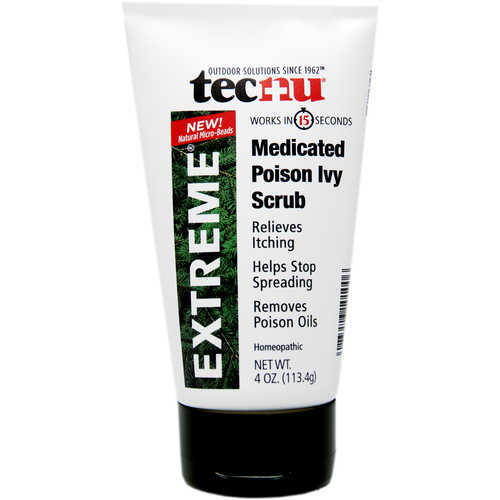 Tecnu Extreme contains micro-fine scrubbing beads to effectively remove urushiol from the skin and active ingredient Grindelia to immediately relieve itching and speed the healing process. The thick, creamy gel can be used before the rash starts as well as after a rash appears to relieve symptoms and stop the rash from spreading. 4 oz. Tube. 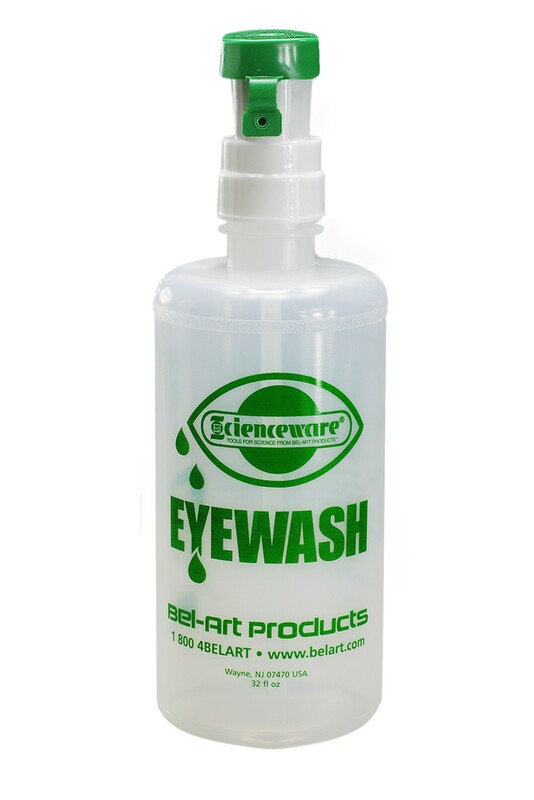 For immediate emergency flushing of eye injuries, this eyewash bottle provides fast, effective relief. The unbreakable, easy-to-squeeze polyethylene bottle has an eyecup with a captive snap-on cap. Eyecup has a perforated plate to break up the stream for gentle spray to eye. A capped air vent valve prevents drawback of contaminated eyewash into bottle. Used wash exits through a drain tube, which rotates in any direction. 16 oz. (500ml) or 32 oz (1000ml) capacity. 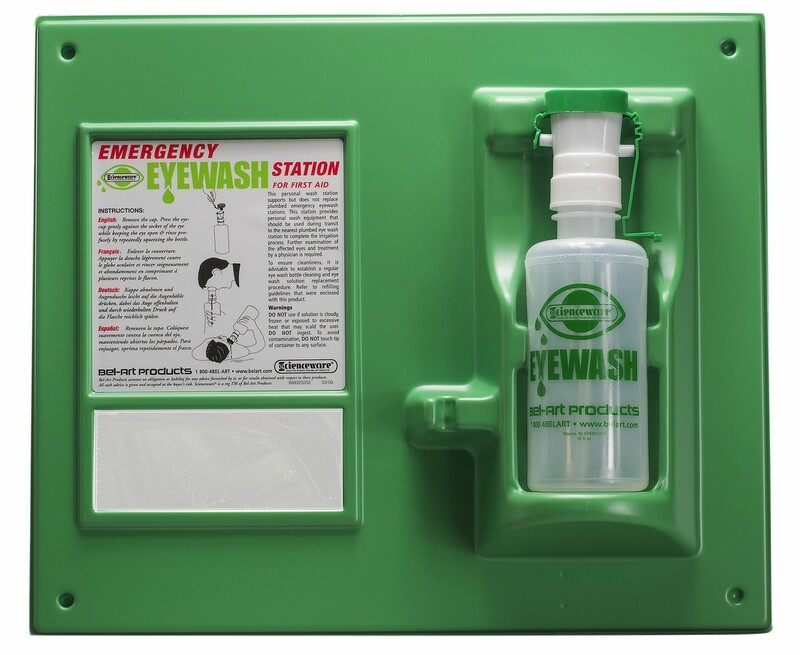 Molded form high impact green plastic, the eyewash station is readily identifiable and convenient to use. 16 oz. bottle is easily released form the wall-mount for quick emergency use. 44 x 38 x 10 cm, screw holes for attachment to wall. 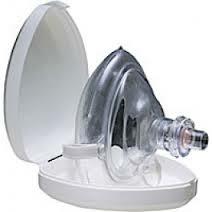 For replacement bottle see F24850 or F28451. Compact (52" x 82.5") and light enough to carry in a jacket pocket. 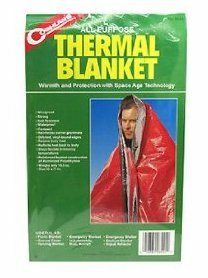 Aluminized non-stretch polyester reflects heat back to body and is wind and waterproof. 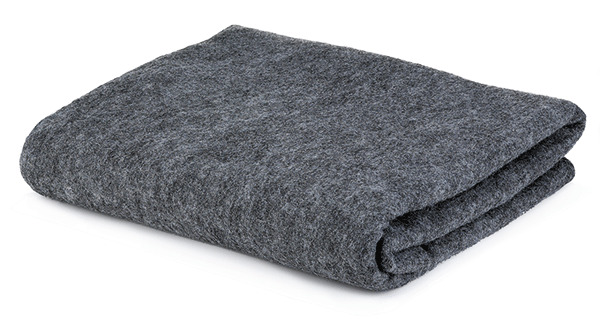 Recommended as an emergency blanket only, since it is prone to tearing it should be replaced yearly. (50" x 79") weighs only 14 oz. and light enough to be easily carried. Reinforced layered construction of aluminized non-stretch polyester is tough and wind and waterproof. Has reinforced edges and corner grommets. Reflects heat back to body. Will stand up to repeated use. 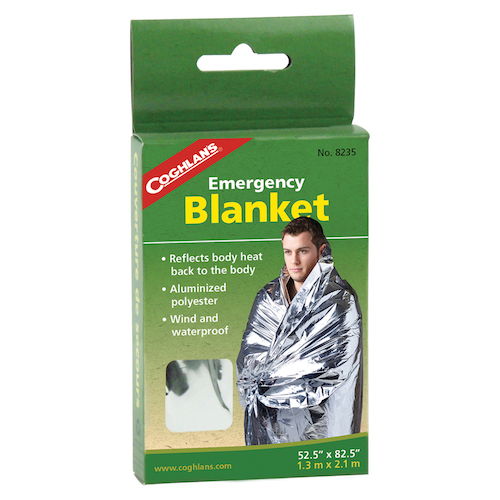 Standard first aid blanket, 60" x 80". 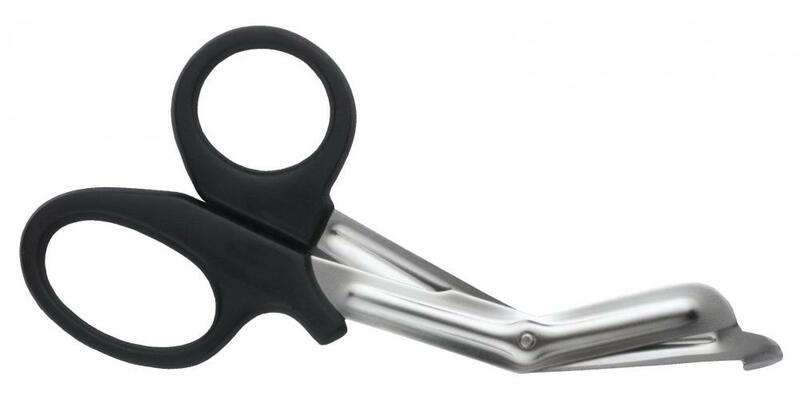 Can be used with stretcher. Gray in color. Long burning emergency candles. Each candle burns 8-10 hours. Two 1.5″ x 5″ candles and two metal candleholders.